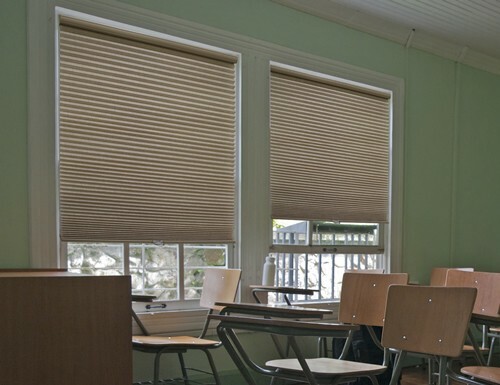 Blackout Honeycomb shades are perfect for light blockage as well as insulation. 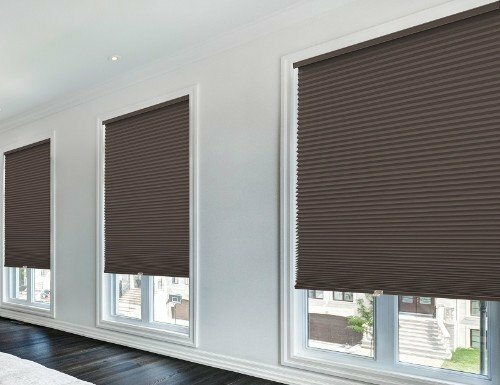 Blocking 90-95% of the light from entering the room, our blackout shades are perfect for home theaters, bedrooms, or any room you just need to be dark. 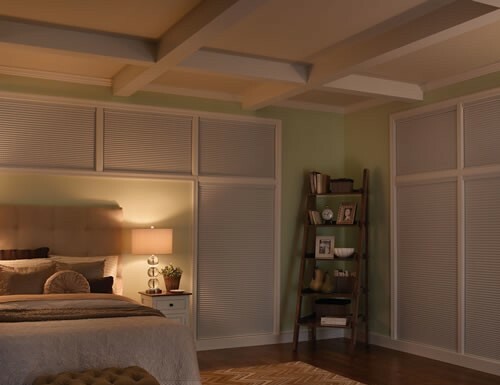 Choose from our high quality spun lace fabrics or traditional point bond materials. 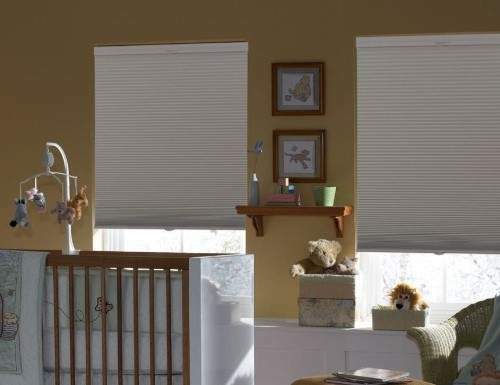 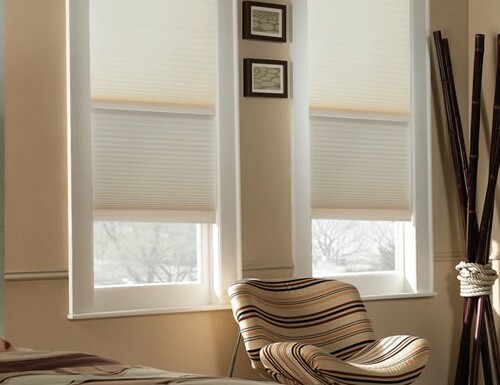 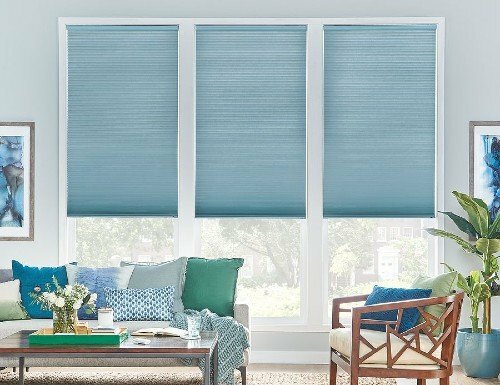 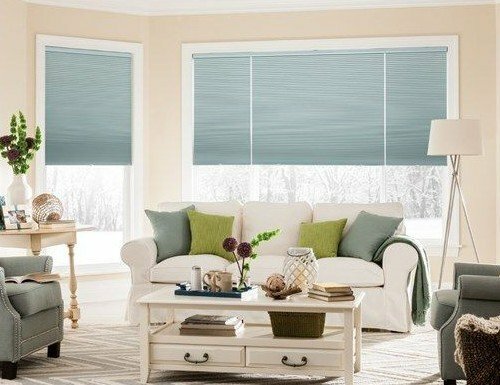 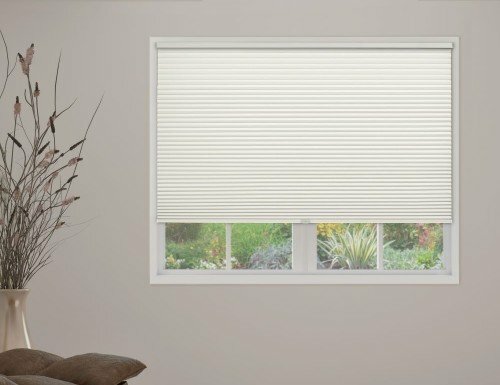 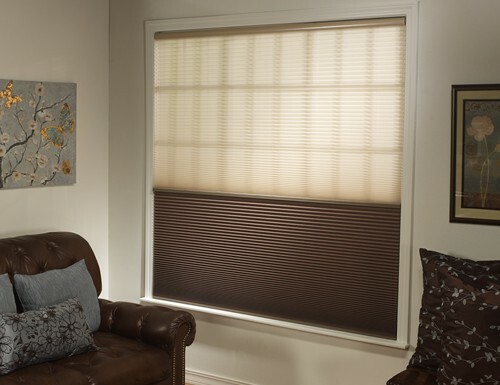 Choose from traditional lift or add a cordless or top down bottom up upgrade to our room darkening cellular shades. 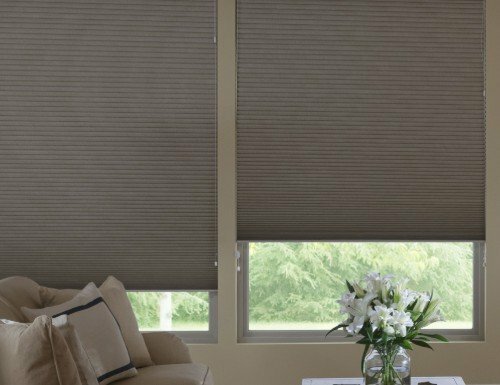 With the top down bottom up or duofold upgrade, the cell shades may be both raised as traditional shades or lowered from the top down. 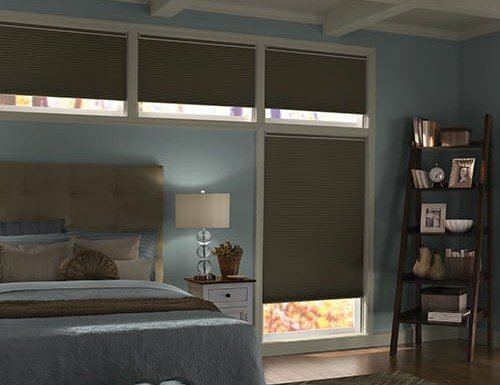 This gives the shades a unique advantage, allowing light into the room and not completely blocking the view whil still offering partial privacy. 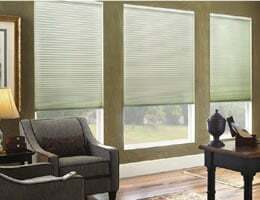 With top down bottom up the shades will have 2 lift cords. 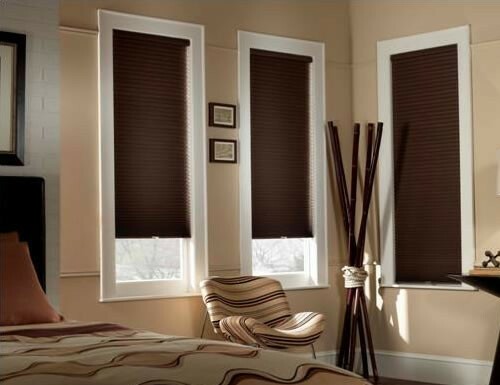 One to raise the shades and a second cord on the opposite of the shades to lower them. 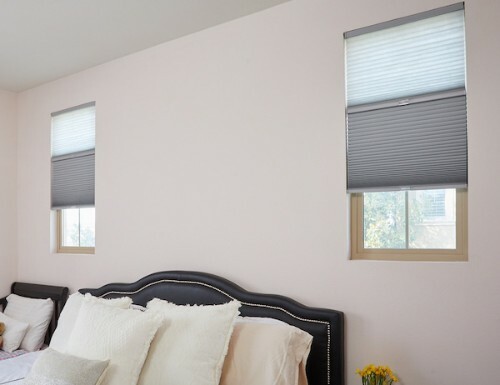 When the shades are lowered, there will be visible cords suspending the shades from the top of the window. 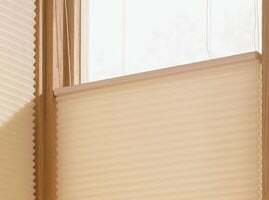 By removing the lift cords on the cell shade and a spring mechanism within the headrail, the honeycomb shades may be raised and lowered by use of the bottom rail. 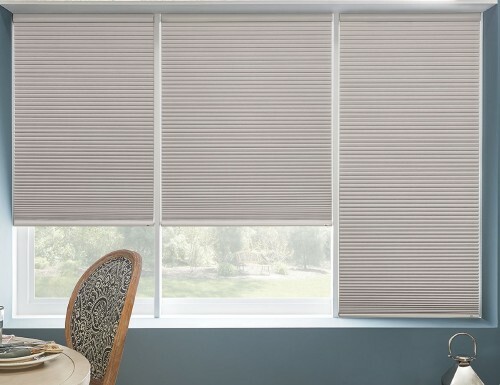 Cordless shades are designed with saftey in mind because cords on window coverings can be a danger. 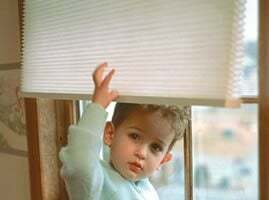 Since there are no lift cords, reaching the shades on taller windows may be a challenge. 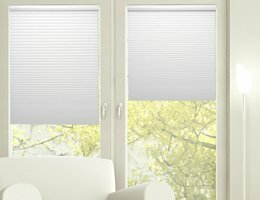 Designed with insulation in mind, these unique cell shades offer an added layer of insulation. 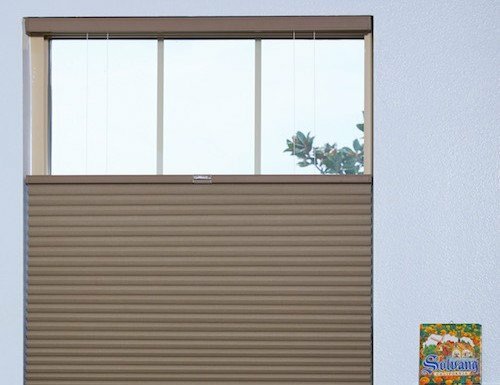 Between each side of the shades and the window frame is a track barrier sealing the edges of the shades. 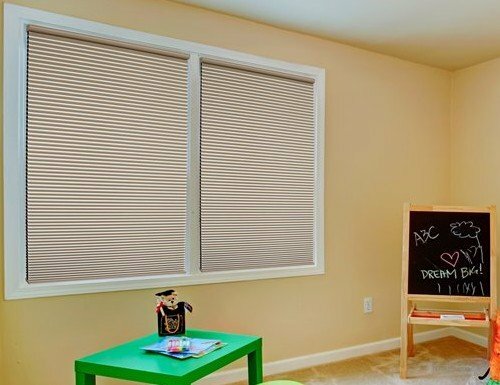 Save on your energy bills up to five times to that of a single pane window. 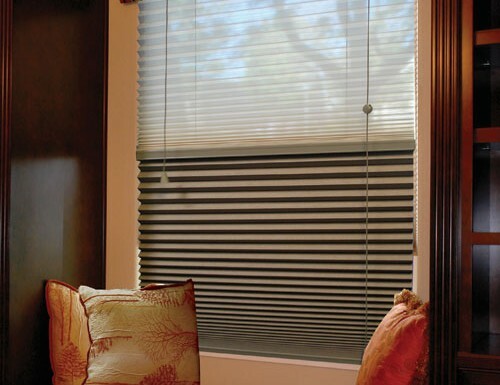 The rollease or continuous cord loop lift is designed for raising and lowering larger window shades. 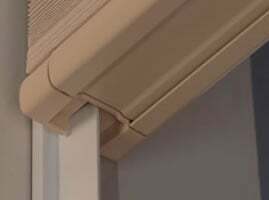 The lift cord forms a "loop" as it circles back inside the headrail.